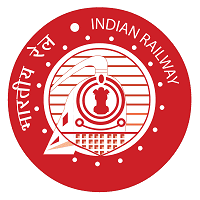 RRC assistant loco pilot syllabus in Telugu, RRB ALP Syllabus in Telugu- Railway Recruitment Board (RRB) has updated a latest recruitment notification to fill up Assistant Loco Pilot posts. candidates who are eligible and interested they can apply online mode through RRB Secuderabad web site before last date. applicant's also check other details related to RRB ALP SYLLABUS in Telugu 2018 like how to apply in Telugu step by step, selection process, age limit, and more details are given below. RRB ALP selection process made on written exam mode, so candidates who are attending exam from Telangana and Andhra Pradesh they need to know syllabus in Telugu to get high score and good awareness on exam. here i am sharing RRB ALP syllabus in Telugu script. I hope this information will help you lot. ఈ పరీక్షలో రెండు స్టేజీల్లో నిర్వహిస్తారు. అవి స్టేజ్ 1 మరియు స్టేజ్ 2. పరీక్షలో 75 ప్రశ్నలు ఉంటాయి వీటిని 60 నిమిషాల్లో పూర్తిచేయాలి. స్టేజ్ 2 lo పార్టీ ఎ మరియు బి లు ఉంటాయి, పార్టీ ఏల 100 ప్రశ్నలు వస్తాయి వీటిని 90 నిమిషాల్లో పూర్తిచేయాలి. పార్టీలో 75 ప్రశ్నలు వస్తాయి వీటికి గంట సమయంలో పూర్తి చేయాలి.